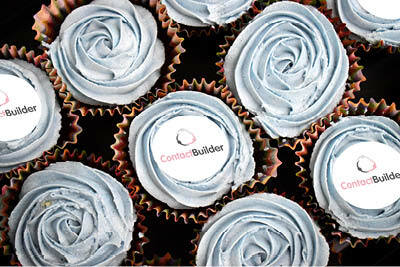 We're celebrating 10 years of ContactBuilder! Contact Builder is proud to announce 10 years in the CRM business. That’s 10 years of growth, development and great customer service for its clients. A decade ago, the customer relationship management (CRM) software market place looked very different from how it is today. There were numerous choices for network software, but there was a shortage of mobile options. More and more businesses clamoured for mobility, rather than just access through an awkward and clunky virtual private network. Crucially, there was very little choice when it came to CRM software specifically written for house builders. In 2008 ContactBuilder launched the first truly web-based CRM system built solely for house builders. Glen Mitton, ContactBuilder’s managing director says: “CRM was rapidly changing and launching a CRM platform that would help house builders maximise every valuable lead, track the whole customer journey and improve sales outcomes was a much-needed service for the industry. ContactBuilder is customisable and allows your business to track the information you find most important about your customers. Starting with a set of basic fields, you can make ContactBuilder work the way you do by adding in your own criteria questions, reservation form and sales progression steps. From a small start-up operation with just a handful of clients the business has maintained year on year growth with a net increase in clients each year, and today represents the interests of over 690 individual new-homes developments throughout the UK. If your business is primed for rapid growth a system with scalability is needed. ContactBuilder is ideal, whether you have hundreds or thousands of contacts. ContactBuilder makes things simple. ContactBuilder’s team has excellent working relationships with other key industry suppliers and a first-rate customer service philosophy; many of its clients have been with ContactBuilder since day one. ContactBuilder is proud to be at the forefront of house-builder-focused CRM in the UK. Glen Mitton goes on to say: “By using the latest technology, sector knowledge and a cost-conscious administration we are able to offer our customers a great service – a service which we are proud to say has helped many house building sales teams manage their customer data, keep up-to-speed with sales progression and track conversions.